Create an intimate conversation spot or chic focal feature in bedrooms, as well as living rooms, halls and entryways. 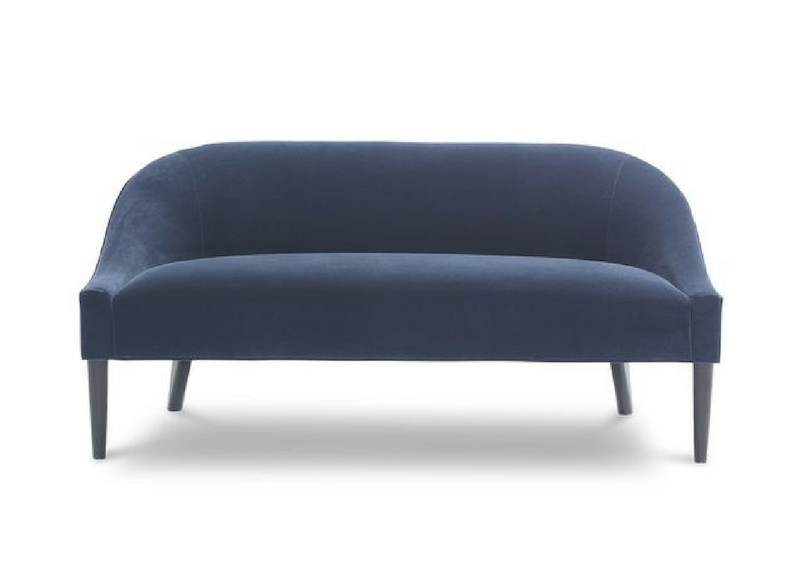 Graceful, modern settee offers a new traditional silhouette with curved back, trim seams and tall, tapered legs. Scaled to work especially well at the end of a king or queen bed. Coordinates with our Bella chair.